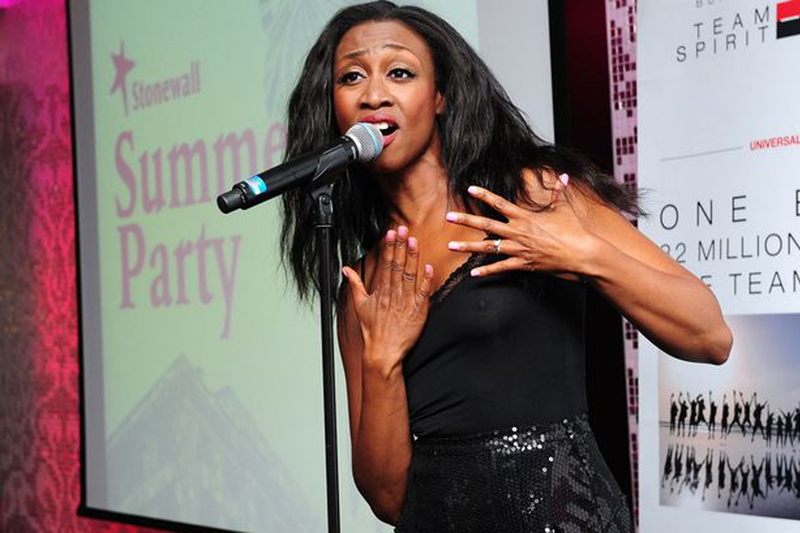 Soul singer Beverley Knight has hit back at racial abuse she received on Twitter after she made online comments about a disgraced former UKIP councillor featured in a BBC documentary. The Wolverhampton born singer received hateful tweets after she posted comments about Rozanne Duncan who was featured in ‘Meet the Ukippers’ on BBC Two. Fellow celebs and politicians rallied round to support the singer following her abuse on the social network. Knight was then sent a tweet by a woman with Twitter profile White Pride who tweeted: “F*** you N***** go back to Africa if you don’t like it.” The tweet was sent using an account that had been set up 24 hours earlier. Knight has since received plenty of support from her legion of fans and celebrity friends. Duncan was axed from UKIP last year after segments from Meet the Ukippers were leaked to the media. During one clip, the former councillor for Thanet South in Kent, said: “There’s no way I could be described as racist. But the one people I do have a problem with is negroes. “I don’t know whether it’s something in my psyche, or karma from another life – but I do have a real problem with people of negroid features.” She has since said she does not regret making the comments. Knight has stood up against racism on numerous occasions in the past. Last year she spoke of her ‘longing’ for the day when skin colour was no longer an issue, prior to performing at a concert to mark the 20th anniversary of the death of Stephen Lawrence. She is currently starring in the acclaimed West End production Memphis the Musical, which addresses issues of racism in 1950s Tennessee at the height of racial segregation in the United States.